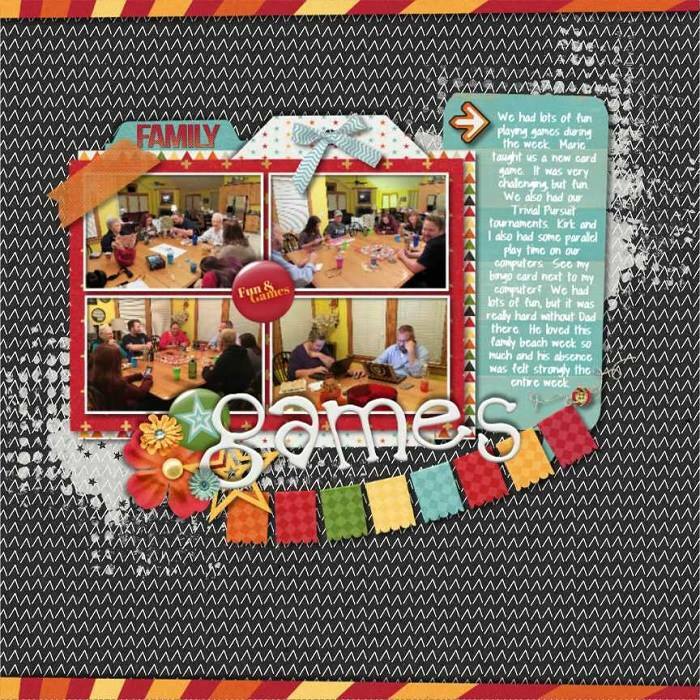 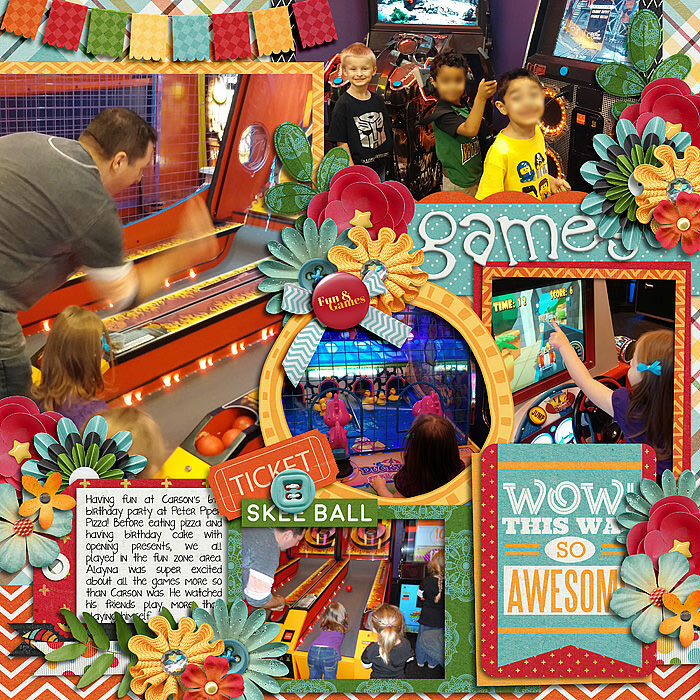 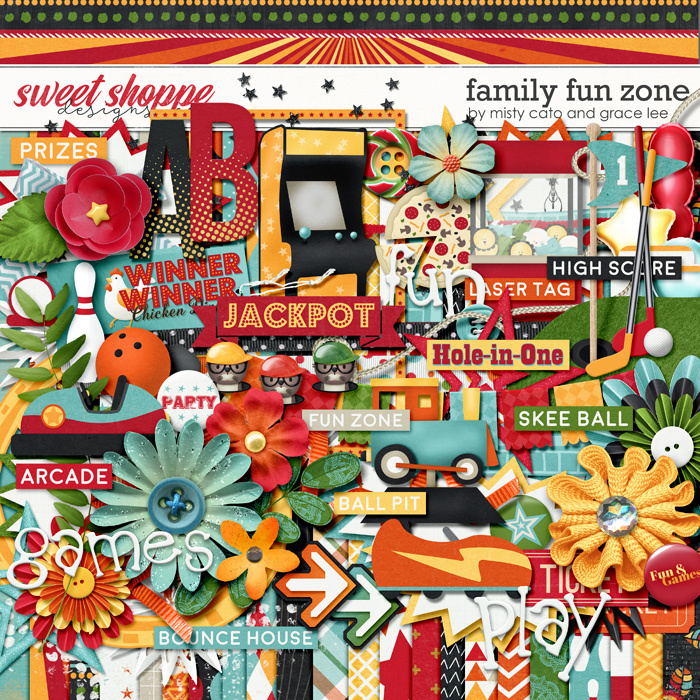 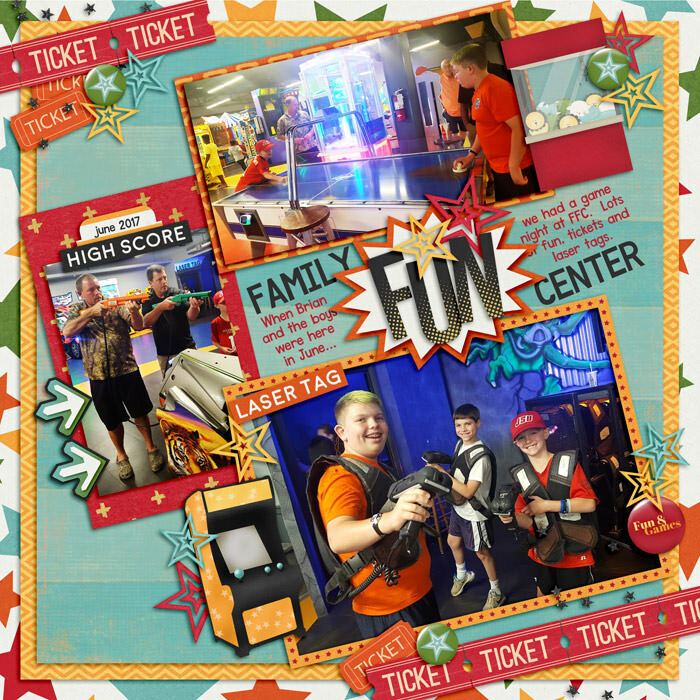 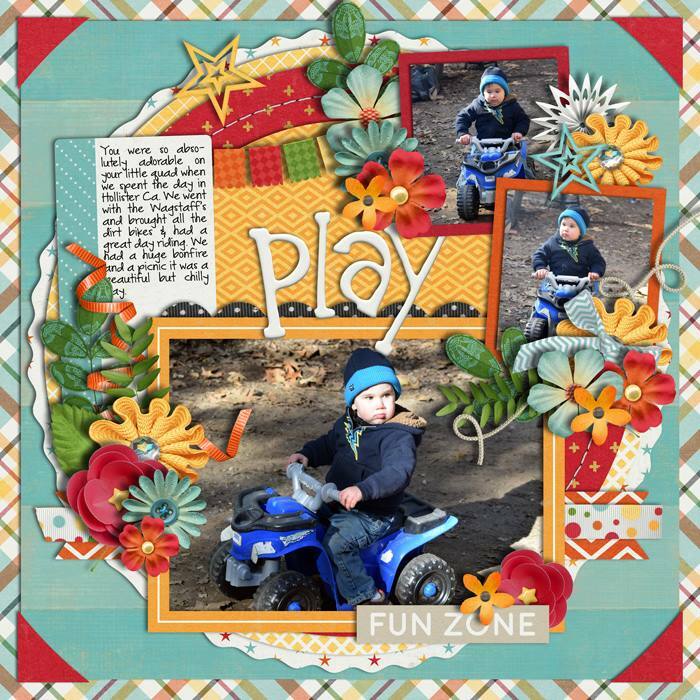 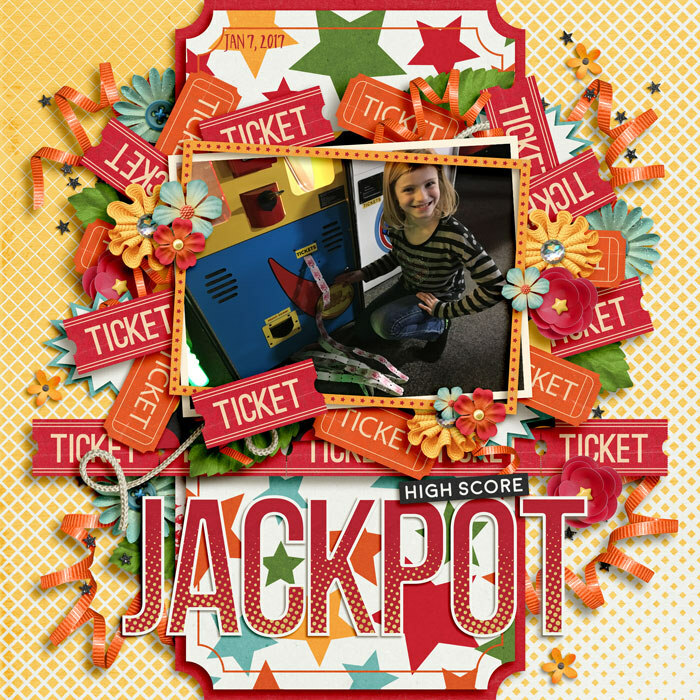 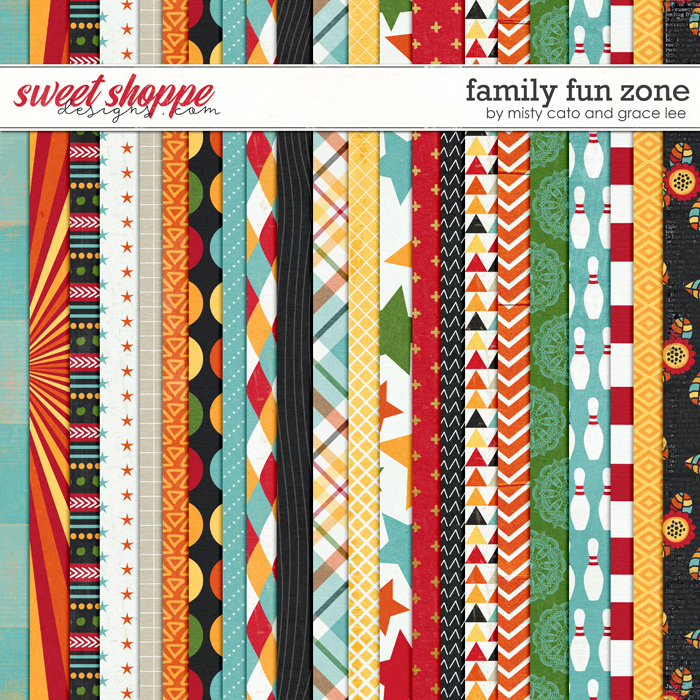 A digital scrapbooking kit by Misty Cato and Grace Lee, Family Fun Zone is custom-crafted to show off your memories from days at the arcade, pizza party, bowling alley or fun house. 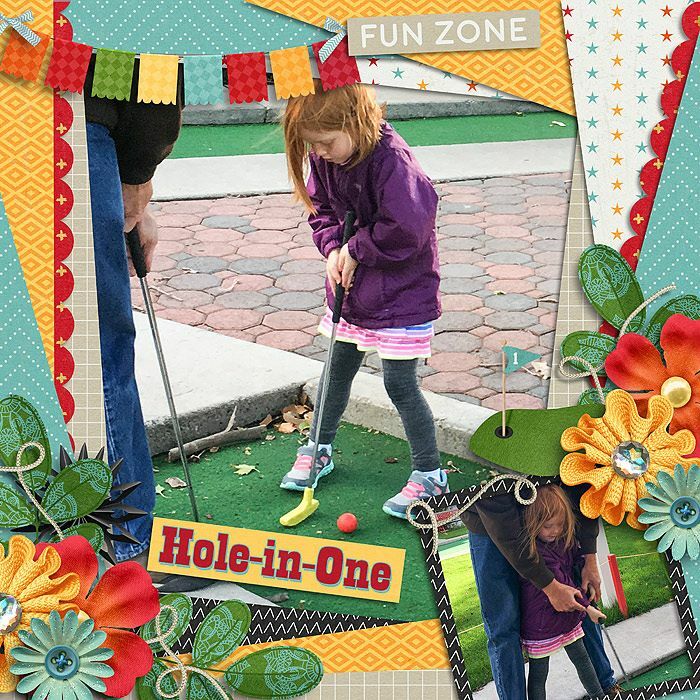 You'll receive 22 12x12" papers, a set of coordinating solids and an 80-piece element set including video game machines, golf clubs, golf hole, golf balls, train ride-on, bumper car, bumper boat, whac-a-moles and mallet, pizza, bowling pin, bowling ball, balloons, flowers, leaves, ribbons, bows, journal spots, stars, word art, frames, tag, tickets and more. 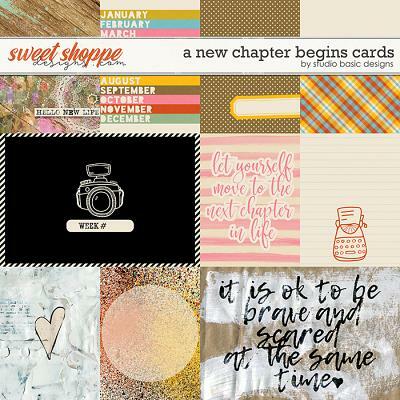 You'll also receive a coordinating alpha in two colors (capital letters and numbers). 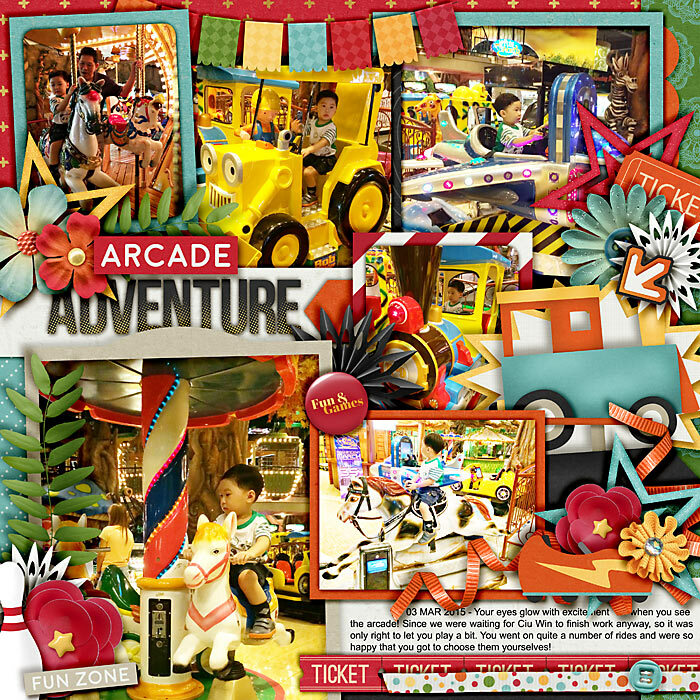 All items are saved individually.